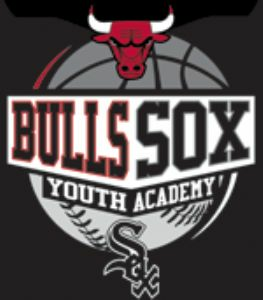 With over 57,000 square feet, 13 batting cages, 3 maple basketball courts including a United Center replica court, this state-of-the-art athletic facility provides the kind of training that can only come from a professional team. This class will detail the absolutes of pitching as taught to the White Sox players by the White Sox coaches. If you are truly serious about becoming the best player you can be…this is the place for you. Our Pitching Clubs will cover grips, arm action, balance points, and pitching from the wind up and stretch. This class will detail the absolutes of hitting as taught to the White Sox players by the White Sox coaches. If you are truly serious about becoming the best player you can be…this is the place for you. Our Hitting Clubs will focus on plate coverage and stance, striding into a hitting position, swing plane/hand path, footwork and balance. Elite Infield Training Sessions will teach every aspect of Infield play. The Academy has a track record of successfully coaching college and pro players. If you want to win that starting position and be noticed by colleges and pro scouts, you must be able to handle the leather. This training session teaches the professional “approach” to catching. These sessions are position-specific with a fast-paced and intense curriculum that will challenge you and make you aware of what is expected of your position at the next level.